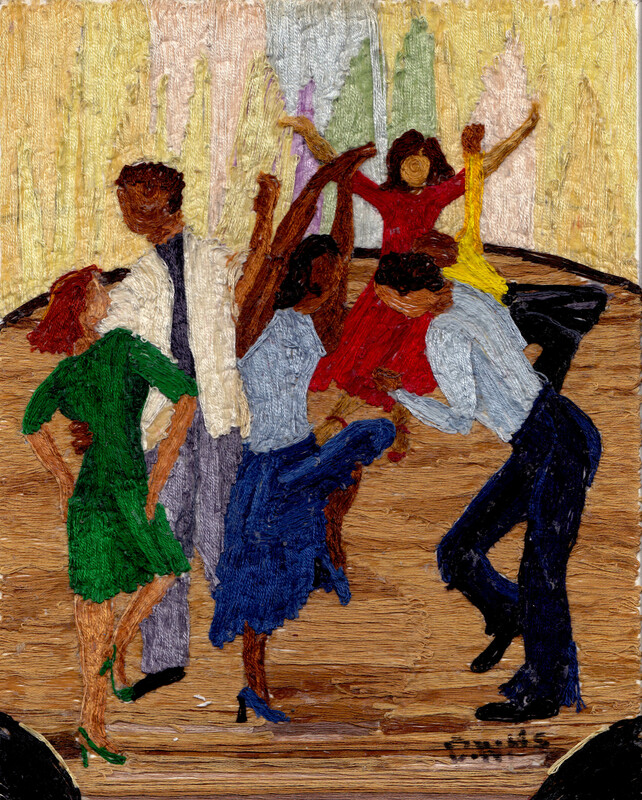 Dance Contest, embroidery floss on cardboard by Dorothy Williams. I’ll be rotating work by the late Pittsburgh visionary artist Dorothy Williams through The Sideways Museum starting Friday, January 23rd. Williams (1926-2005) created dozens of works in her retirement remembering important events of her life growing up in the Hill District of Pittsburgh. The works were created by gluing strands of embroidery floss, one string at a time, to various types of cardboard. Her subject matter included family and social scenes, floral arrangements, nature and abstractions. I’ve been trying to spark some interest in her works since 2001. 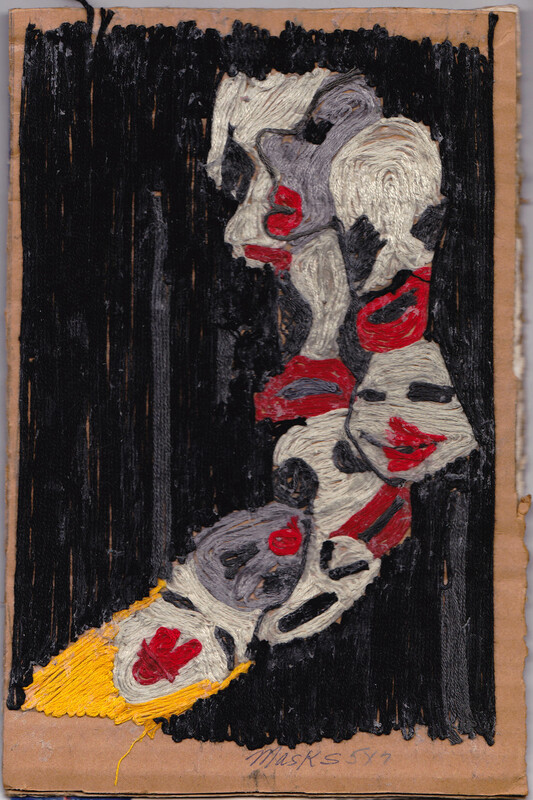 Masks, embroidery floss on cardboard, by the late Pittsburgh visionary artist Dorothy Williams. 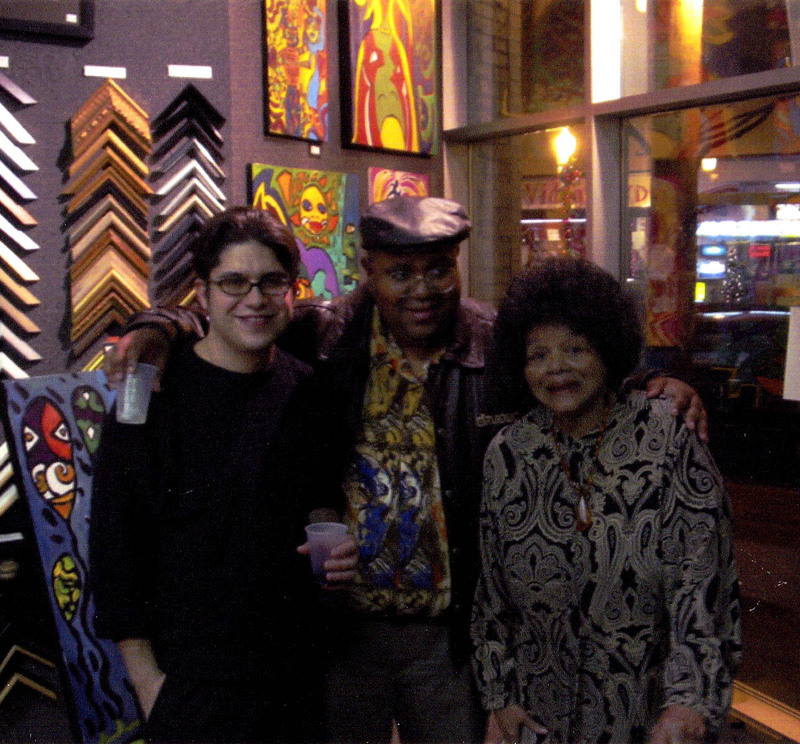 Tom Sarver with visionary artists Steve Smith and Dorothy Williams in 2001.